Facebook ready to reveal plan to share your data with devs? Facebook's long been brewing its very own mobile ad network, and word is the company is about to finally spill the contents of its cauldron. The social network's plans for mobile ads will be fully revealed at its F8 developer conference in San Francisco at the end of April, according to Re/code, which reportedly spoke with "multiple sources familiar with the matter." Like Google does with its ad network, Facebook will allow developers to use the site's vast stores of user data to more effectively target users. The Facebook ad network will extend beyond Facebook's own apps, potentially making other developers happy and Mark Zuckerberg even happier. The social network began testing its mobile ad network in January, when it said it would "[work] directly with a small number of advertisers and publishers, rather than an outside ad-serving platform." 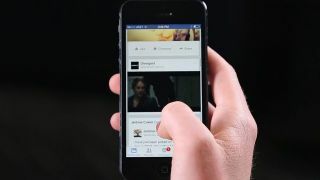 Facebook struggled with monetizing its own mobile ads initially, but as of the second quarter of 2013 had grown mobile ads to 41% of all its advertising revenue. During the final quarter of the year Facebook's mobile ads generated $1.24 billion (about £7.38b, AU$1.32b). Facebook has been experimenting with its ads more than ever recently, including a partnership with Google, and sponsored Instagram photos, and much-loathed Facebook News Feed video ads.